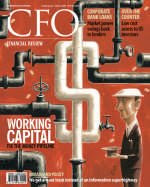 CFO magazine ran an interesting but brief article on SEC plan to encourage and assist capital formation for small mid-size businesses (SMB’s). In light of all the gyrations in the credit markets and the rush to aid investment and money center banks (see Risk Rap Post 4/10/08, SMB’s TBTF), it is heartening to know that the capital needs of our country’s most important economic sector is not being over looked by the government regulatory bodies. The access to capital is critical for small businesses. The SEC plan to expand capital access to the segment will help SMBs cope with stringent credit policies, the effects of the economic downturn and the pressure on asset valuations due to the falling real estate and public equity markets. An interesting side light to this initiative will be how community banks and private equity firms position themselves to take advantage of this SEC initiative. It bears watching and this could be an important program to align the interests of cash rich private equity firms and capital stressed community banks. We’ll post more on this subject in the future.